We are raising money to support the work of Dr. Dominic D'Agostino . 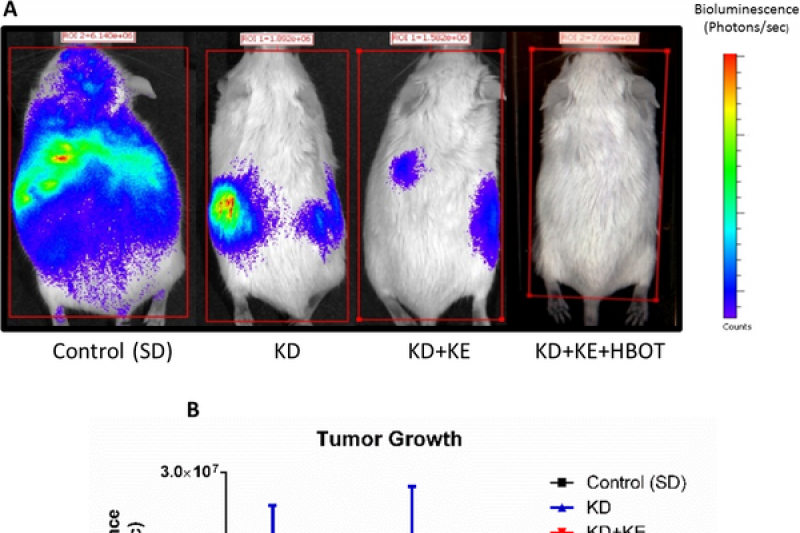 His research has shown tantilizing glimpses into the synergy of nutritional ketosis and hyperbaric oxygen therapy (HBOT) for targeting cancer metabolism, cancer growth and metastasis. Survival of laboratory animals has been more than doubled by this combined approach, and would likley enhance many standard care therapies. 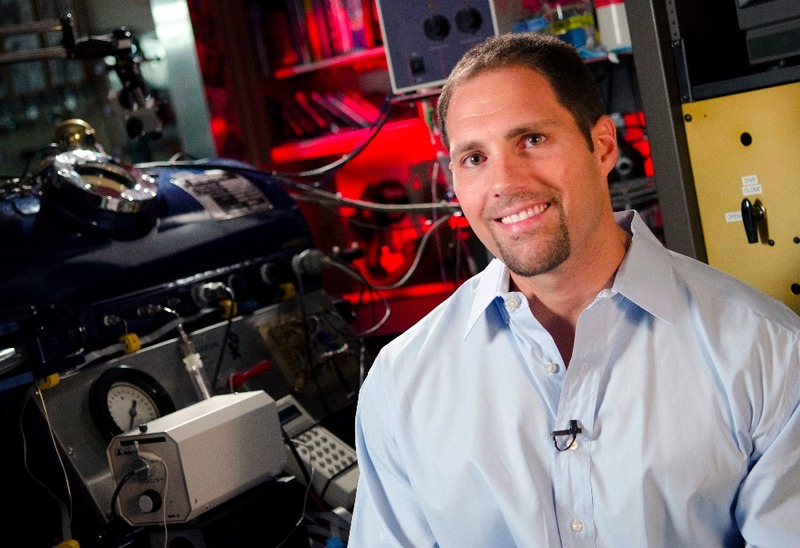 Before HBOT/Nutritional Ketosis can be studied in humans, however, the question of dosing ( how much oxygen and how frequently) needs to be addressed and Dr. D'Agostino has a study designed and ready to go. All that is required is the funding to get it off the ground! Aim 1: Test the efficacy of 3 levels of oxygen (1.4, 2.0 and 3.0 ATA O2) on cancer growth and metastasis in vivo. Aim 2: Test the efficacy of graded levels of oxygen on 4 different cancer cells types, including brain cancer, breast cancer, pancreatic cancer and ling cancer in vitro. Please consider funding his important research into the possibility of a therapy with few side effects, that could save many lives and make the quality of life better for cancer patients. All of your contributions will go directly to fund the cost of the study! Please consider donating a month's worth of lattes. This Gofundme campaign has the full support of Dr. Dominic D'Agostino and his lab. 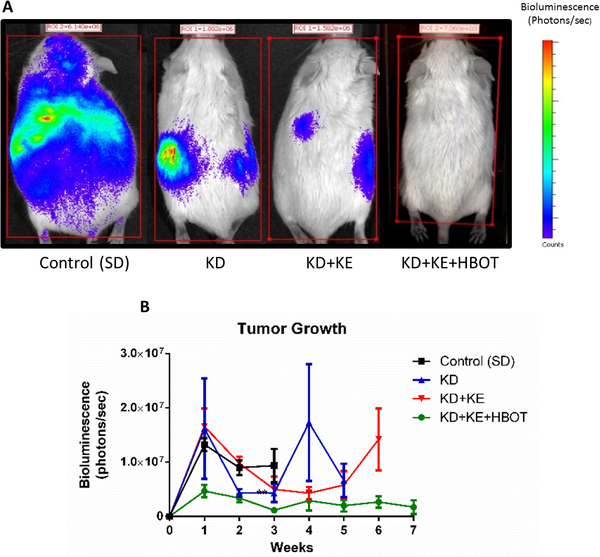 A study of HBOT dosing with a Ketogenic Diet for cancer is ready to go once we get to our funding goal. Please consider donating! ALL proceeds will go directly to the research. This cause is better than Kanye Wests! Great introduction to the research!! Hi Helen - we met once on Riverside Drive. We are in touch with George currently and want ALL cancer research to be successful. Thank you for you work and dedication to the benefits of HBOT!!! Way to go Dr. D"Agnostino . Thank You for your years of research findings , that a Ketogenic diet lifestyle has so many HEALTH IMPROVING benefits , as well as multiple therapeutic treatment options for CANCER Therapy .